Michael is a qualified personal change coach and owner of The Chapter Coach Consultancy and Training Services Limited. He has extensive experience in training and development, HR and health and safety having worked in both public and private sector enterprises since 1999. Currently Michael is working as the Regional L&D Manager for Europe and North America in a large transport, logistics and supply chain organisation. Michael is responsible for the design and delivery of all aspects of training and runs a very successful in-house development programme to ensure there is a readily available talent pool of future leaders. He is currently coaching over 15 people, both internally and externally, who are either making changes with their current professional roles and/or in a personal context. 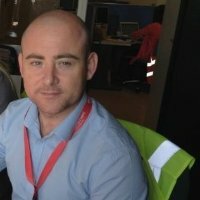 A passion for H&S in the workplace he is also a qualified manual handling instructor. Michael believes that continued personal development supports growth and ensures people stay relevant and current in an ever changing workplace.